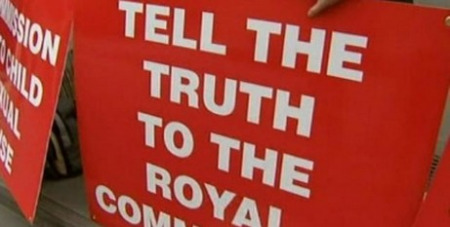 The Royal Commission into Institutional Responses to Child Sexual Abuse Chairman has urged Church authorities to challenge claims Cardinal George Pell attempted to bribe one victim of clerical abuse and ignored the pleas of another, reports The Age. The Chairman, Justice Peter McClellan, is expected to make a determination on the veracity of the explosive allegations against Cardinal Pell, and implored Church lawyers to test the evidence put to the Commission. Late on Wednesday night, Cardinal Pell sent a statement from Rome to the Royal Commission, strenuously denying the allegations from survivors David Ridsdale and Timothy Green. Justice McClellan stressed that he expected Cardinal Pell to defend himself against the claims if he was arguing the witnesses had deliberately given false evidence or made a mistake. "I need to confirm if it's not already plain that just because the Church parties have chosen to conduct their case ... in a particular way and not ask witnesses questions is not a matter that we will have regard to when making any findings that we believe are appropriate to make when we complete our reports," said Justice McClellan. The Church's decision not to cross-examine witnesses or provide alternative recollections of past conversations "does not bind" the Commission, he said. Counsel assisting the Commission Gail Furness, SC, tendered the statement and a letter from Church authorities in evidence to the Commission on Thursday: "[Cardinal Pell] says the conversation that Mr Green gave evidence of yesterday did not happen, and in respect of Mr Ridsdale ... [Cardinal Pell] says 'I have previously made a sworn denial of those allegations and I reiterate that denial'." The letter from lawyers acting for Church authorities also said Cardinal Pell would make further formal statements when requested by the Commission. "We confirm that a statement of Cardinal Pell will be willingly provided once the Royal Commission issues a request in accordance with its established practice, identifying the topics it wishes Cardinal Pell to address," the letter said.